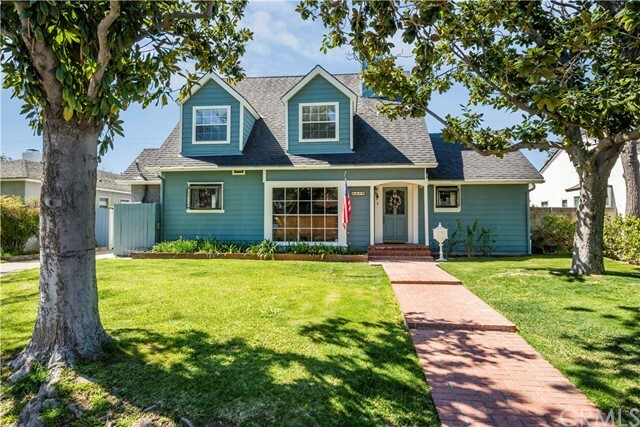 All Lakewood Village homes currently listed for sale in Long Beach as of 04/21/2019 are shown below. You can change the search criteria at any time by pressing the 'Change Search' button below. 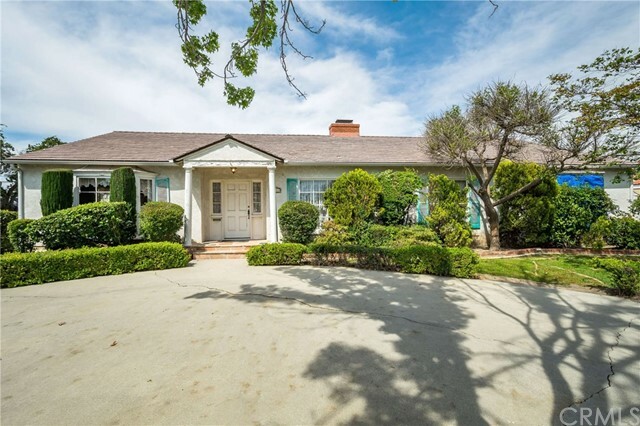 "Welcome to 4605 E Arbor Road a rare opportunity to own a corner double lot of over 15,000 Sq. feet in Lakewood Village. This 3 bedroom and 2 bath colonial style home is offered at entry level pricing with lots of opportunities for upgrades and remodeling. A circular driveway in the front of the home and an expanded long gated driveway on the side is available for all your vehicles. The front door and entry way leads you into a very large living room with a fireplace and lots of windows. A spacious dining room has a nice size bay window and wainscoting and could accommodate a large group of guests. The kitchen has an ample number of cupboards and counter space, a sunny corner eat-in area, a walk-in pantry and a laundry room with several storage cupboards. The family room has a brick fireplace, built-in cupboards, a bar area, and floor-to-ceiling French doors leading out to a large and roomy patio and yard area plus a half bath off the family room gives added convenience for family and guests alike. Of the three very bedrooms, a large master ensuite has a full bath with a tub and step-in shower and a dressing room with a built-in vanity. This home has all the potential anyone could want to make this their dream home." "Welcome to the coveted community known as Lakewood Village. This 5 bed, 3 bath, 3154 sq.ft. home is situated on a 7677 sq.ft. lot. Spectacular curb appeal with fresh new landscaping and paint. Custom leaded glass door leads into a wonderful home. Completely repainted boasting carpet/hardwood floors, recessed lighting, crown molding and HVAC throughout. Massive living room offers endless possibilities for large gatherings and family entertaining. Expansive formal dining room with bay window and gas fireplace. Kitchen offers built in gas range, double oven, plenty of storage and separate breakfast seating. 3 light and airy bedrooms, a powder room and full bath complete the downstairs. Spacious backyard complete with detached 2 car garage, 2 large storage sheds 1 with electrical power, mature lemon and avocado trees, covered sitting porch and grass area. Upstairs large master retreat with vaulted ceilings, office or workout space, walk in closet and ensuite with dual vanities and a separate tub and shower. Additional bedroom with vaulted ceilings and an office with built in bookshelves finish the upstairs. This home is move in ready and offers many possibilities to customize and expand. 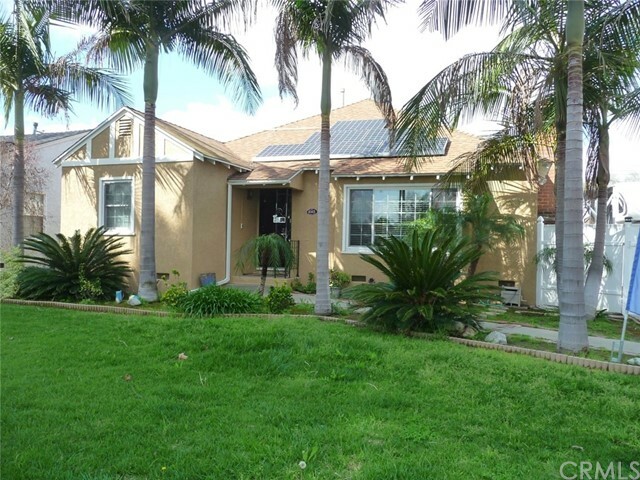 Close to Long Beach City College, schools, parks, freeways, shopping and restaurants." "Paradise awaits! Beautiful Pool Home with outstanding features. 3 bedroom 2 bath home on a large lot with RV Parking enough for 2 RVs. Upgrade dual pane windows, central air conditioning, open family room, ensuite with remodeled bathrooms, large open kitchen, formal dining room, Gas and wood burning fireplace, newer custom flooring, solar electric panels. Back yard has Pebble tec pool with rock water slide, retractable awnings and grass area. Newer exterior paint." "Wonderful Quiet Street location in Fabulous LAKEWOOD VILLAGE.... Custom Pool Home w/ Beautiful Curb Appeal. Walk up to Newly Painted Light Grey Exterior w/ Red door and Brick step front porch. Formal Entry w/ Coat Closet leading to Living Room w/ Baywindow, Coffered Ceiling and Custom Baseboards. 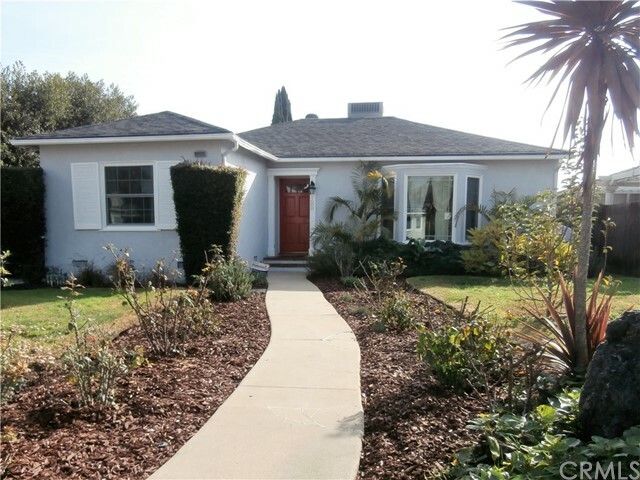 Gorgeous Light Oak Original Hardwood Flooring, Smoothed Ceilings and NEW Windows thru-out entire home ! Alarm System and NEW Central A/C also ! Large Formal Dining Room w/ Large Window looking out to Atrium. Remodeled Kitchen with Granite Countertops, Maple Cabinets, Walk-In Pantry, Eating Area & All Stainless Steel Appliances to stay- Refrigerator, Stove, Microwave, and Gas Stove. Step-down into Cozy Cabin Feel Family Room w/ Brick Fireplace and entry door into Double Attached Garage w/ opener, Workshop Area, and Washer & Dryer Included ! Three Spacious Bedrooms off of Hallway. Front Bedroom w/ Ceiling Fan. Middle Bedroom used as Office w/ Pocket Door & Built-In Shelving-great for books and files. Hall Bath w/ Travertine Flooring, large tiled vanity & seperate Tub and Walk-In Shower. Master Bedroom in rear of home, w/ Dbl.Door closets & pull-out storage below & Cabinets Above. Master On-Suite Bath w/ double storage closet, travertine flooring, & Walk-In Shower w/ vanity & toilet. Extra Long Driveway w/ R.V. / Boat Storage ! Ocean Blue Swimming Pool behind garage and Lucious Garden Area w/ produce & plants around fence line. Great Home for Entertaining and Toy Storage !" 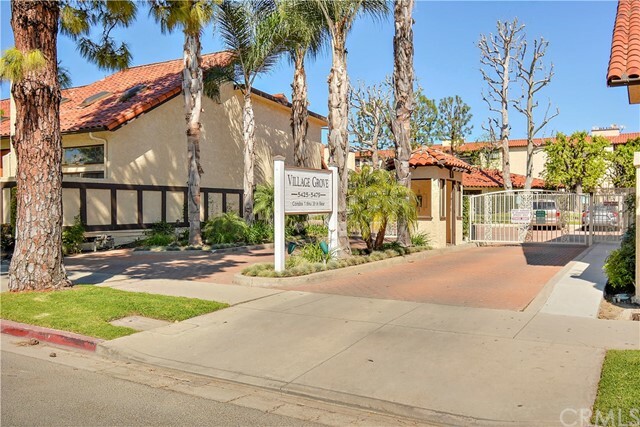 "BEAUTIFUL VILLAGE GROVE GATED COMMUNITY, LOCATED IN LAKEWOOD VILLAGE. THIS MUCH SOUGHT AFTER COMPLEX OFFERS A VERY RARE OPPORTUNITY TO PURCHASE AN UP-GRADED 2 BEDROOM, 2 BATHROOM HOME, THAT FEATURES A COZY FIREPLACE IN THE FORMAL LIVING ROOM, BEAUTIFUL FRENCH DOORS, RICH LOOKING WOOD/LAMINATE FLOORING, & A FABULOUS DISTANT VIEW OF GROUNDS OVERLOOKING THE POOL, SPA, AND CLUB HOUSE. THE FORMAL DINING ROOM ALLOWS ENOUGH SPACE FOR ENTERTAINING YOUR FAMILY, FRIENDS, OR THAT SPECIAL SOMEONE, AND LETS NOT FORGET THE WELL APPOINTED KITCHEN WITH NEWER LOOKING CABINETS, GRANITE COUNTER TOPS, AND BUILTIN APPLIANCES. THE SPACIOUS MASTER SUITE OFFERS CLOSET SPACE GALORE, AND A FULL BATHROOM. AS YOU WALK THROUGHOUT THE GROUNDS YOU WILL ENJOY THE FEEL OF A TROPICAL PARADISE WITH LUSH LANDSCAPING, AND THE PEACEFUL SOUND OF WATER. THIS HOME ALSO INCLUDES 2 SUBTERRANEAN PARKING SPACES, AN ELEVATOR ON THE NORTH SIDE OF THE COMPLEX, AND GUEST PARKING."